"5 More Minutes" Wait is Over! 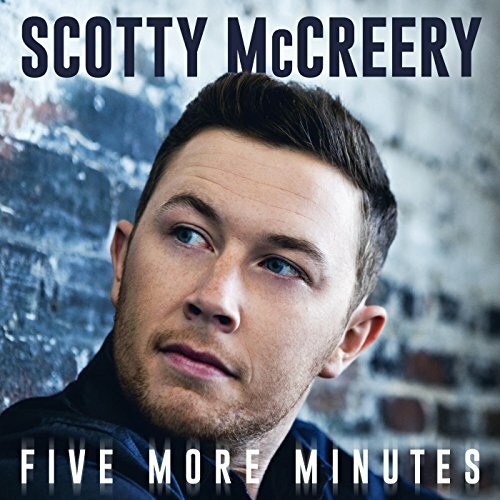 Fans only have to wait 5 more minutes before Scotty McCreery drops his most favorite single today! In his newest song, McCreery incorporates touching lyrics about fishing in a creek at eight years old, making it home by curfew after a date at age 16 and talking to his high school football coach after a tough loss at 18. McCreery's last verse is one that will tug at your heart, in his grandpa's last moments he sings, "there were angels in the room." He sings this song with passion like his others but fans can feel the love he has for his grandpa when singing live performances as most of them end in standing ovations. Listen to his story growing up and make sure to hold those you love close, you never know if you will get 5 more minutes with someone you cherish. As McCreery celebrates the remembrance of his grandpa today and newest single, make sure to purchase the song at digitial retailers (including iTunes and Amazon) and listen to it through online streaming services. There is no doubt that his grandpa will be looking down on McCreery with the angels today smiling as he hears his grandsons song play everywhere!